NEW YORK, N.Y.— Persistent Systems, LLC (“Persistent”) announced today that it has released new 10W versions of its S-Band and L-Band RF modules. The new RF modules leverage cutting edge advancements in power amplifier technology, delivering increased output power and greater power efficiency. The RF modules also implement a more advanced RF filtering architecture providing increased noise immunity in congested and contested RF environments. “We have taken everything we have learned and every new advancement in power amplifier and filtering technology and completely redesigned our S-Band and L-Band RF modules. Our customers value every bit of range and performance, and these modules truly deliver,” said Eric Stern, Director of Engineering at Persistent. 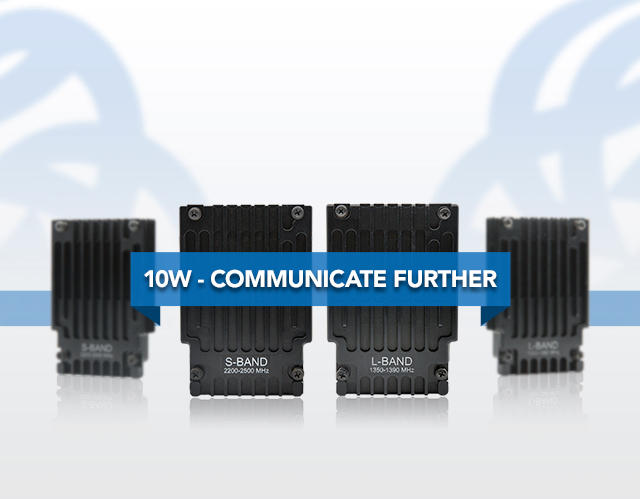 For a limited time, Persistent is enabling customers to trade in their existing S-Band and L-Band RF modules and purchase new 10W versions at a significantly reduced cost. “We expect our customers to achieve many years of service from their MPU5 radios. These upgrades demonstrate our commitment to the MPU5 platform, ensuring that it exceeds our customers’ requirements over the years to come,” said Leslie Hulser, Director of Programs at Persistent. For more information on purchasing or upgrading your existing MPU5 radios, please reach out to your Persistent account representative.